Does licensing a character cost less if the character is used small in packaging and display? 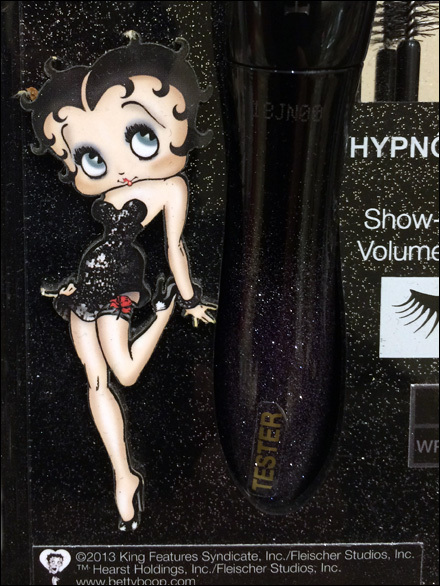 Here Betty Boop® is almost a visual footnote in size compared to the overall Lancôme® offering. You might compliment my eagle-eye for spotting this branding anomaly. But in actuality all guys have radar-like acuity when it comes to long-legged girls, Lancome and otherwise. I spotted better from across the entire cosmetics department. Good visual acuity for females is a male reproductive imperative.